This post was written in partnership with Arka, their platform makes it easy for eCommerce businesses to purchase packaging at fair prices. The eCommerce brand experience is not over once a customer has completed check-out. With limited opportunities for consumers to interact with eCommerce brands post-purchase, it is crucial for those companies to look for innovative ways to improve post-purchase branding to increase customer loyalty. A Shorr Packaging survey finds that returning customers spend 67% more than first-time customers. Finding ways to make new customers into returning customers is one of the best ways to drive business growth. We’ve identified three often overlooked branding opportunities that can help improve your customers’ experience with your brand to help drive repeat business: branded tracking pages and updates, custom packaging, and an overall shipping experience. Once a customer places an order, it is imperative to get in front of them with communications about that order. Traditionally, carriers control tracking pages, leaving a valuable branding opportunity untapped. By branding the tracking page, your customers are continuously exposed to your brand post-purchase, reinforcing your brand value. 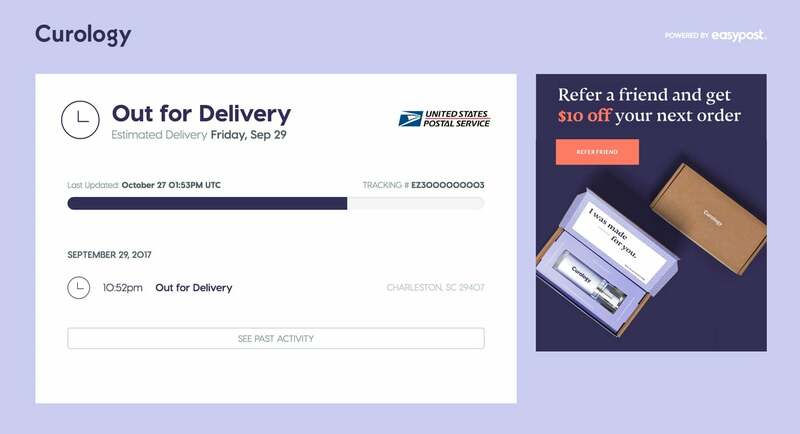 Services like EasyPost tracking allow you to further customize the look and feel of the tracking pages by adding in specific imagery and messaging, and give you opportunities to frequently get in front of customers through webhook implementation. Outside of your website, the first experience a customer has with your brand is when they see your product on their doorstep. A plain box is easily forgettable, but a box that pops with a stylish design will stand out. Pieces like the Arka Mailer separate your brand from the others through their use of color and innovative design. Using a higher-quality material, a soft touch finish, or embossing on your packaging can also set it apart and make your customers feel appreciated. Finding a way to integrate your business or product mission into your packaging can also be extremely valuable, creating a cohesive view of your brand in the mind of the customer. If your products emphasize sustainability, using eco-friendly packaging is one more way to reinforce that commitment to your customers. Shipping plays a key role in the customer experience. Customer expectations around fast shipping at a low price are higher than ever, and being able to deliver on that expectation is a key way to drive value for customers. Having the ability to rate shop between carriers—like with the EasyPost rating API—gives you the ability to select the right level of service at the right price for both you and your customer. There’s no reason to miss an opportunity to improve your brand awareness. Stay fresh in your customer’s mind with custom packaging from Arka, make memorable tracking pages they will enjoy, and shop around for the best rates using our rating API. 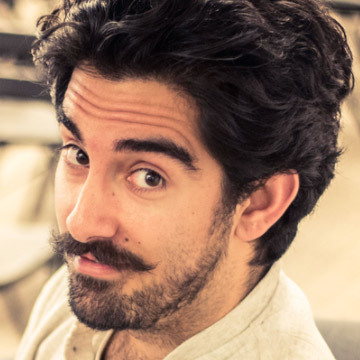 Bio: Phillip is a YC and 500 startups alumnus and the founder of Arka. A bay-area native, he moved south to San Luis Obispo to study Industrial Engineering at Cal Poly. Phillip worked at Boeing and Silicon Valley startups like iCracked before starting his own companies.